I have found your website very informative and helpful. Here is my situation. My GYN had my Vit D level checked. Here are the results. Vit D, 25-OH, Total 14, Vit D, 25-OH, D3 14, Vit D,25-OH, D2 <4. I was prescribed generic Drisdol, 50,000 once weekly and started taking it 3/24/11. At the same time I had my yearly physical with my primary Dr. I told him that I had been getting over a virus and was achy and tired and also was experiencing aching in my lower legs. He asked me about vericose veins which I don't have and thought I may have an electrolyte imbalance so he sent me for blood work. I had the Vit D and his blood work tests done at the same time. My magnesium level came back 2.3 and my calcium was 9.5. He called to tell me that he felt the results we good and to see how I felt in a few weeks. I then heard from the GYN regarding the Vit D results. I talked with the NP who told me everyone is deficient in our area ( Buffalo, New York ) in Vit D with our lack of sunshine in the winter. She advised me how to take the prescription and said I would soon be feeling great! he would send out a script to check my results after finishing the Vit D since my GYN hadn't ordered another test. I now, after taking 3 pills, have major bone pain in my shins and in my neck, hands,ribs, and feet. I am also extremely fatigued. I called my primary and went to see him yesterday, 4/11. He was not available so I had to see a different Dr. I asked him about the bone pain and fatigue and he said it was not from the Vit D. He said that never happens. He is sending me for a chest X-ray to rule out lung cancer! He also said my fatigue could be from taking 2mg of Ativan at bedtime. Why would this happen all of a sudden when I have been taking this to help me sleep for over 10 years. I am going to try to wean off of this as I really don't like to take meds. I did not find his visit of any help and he was not sympathetic to my needs. He ordered along with the X-ray, some blood work as well, checking B-12, glucose. Now after reading all your information I see that bone pain does occur. Do you think I should keep taking these pills? You speak about D3. Would that be better? Should I try to go to an endocrinologist? I am 50,and in perimenopause as well. He discounted any hormonal issues as well. Any advice you have will be greatly appreciated. Thank you. All of your answers are already on my site. Please read these pages to get your answers.. They are not going to help you nutritionally because they are only going to do a couple of tests and then, even if you are low, they are just going to give you a couple of supplements and not change your diet or help you to fix the problem. You've already been disappointed at your doctor's lack of knowledge about vitamin d- and they are also telling you to rely on magnesium levels as a good indicator of your magnesium status, so they know virtually nothing about magnesium either. Are they going to help you to fix your selenium levels, vitamin E levels, vitamin A levels, copper, zinc, etc when they know nothing about vitamin d when it has more studies than most other nutrients put together? And there are dozens of studies about magnesium levels being worthless, but your doctor doesn't know that. 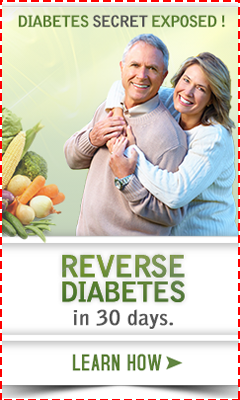 What makes you believe that he can help you with nutrients that are less studied?? You are putting too much stock in your doctors helping you with this. They can't because they don't know anything about nutrition. You'll be sorely disappointed if you continue to rely on them for these problems that they know nothing about and will never have a clue about changing your diet. Hi that calcium seemed a bit high - maybe worthwhile looking up and reading about hyperparathyroidism. Just an idea for you to check into, then proceed with tests if it seems relevant. I have been having dizziness and imbalance right after a sinus infection. But I don't know whether to attribute it to the sinus infection or the 50,000 weekly IU's the doctor prescribed when after doing blood work she found at had a deficiency with a D3 blood level of 20. When I told the doctor could it be the D3, they said no. But upon the 4th week of taking the pill every Thursday I noticed that 20 minutes later I was extremely dizzy and remained dizzy and imbalanced for the duration of the day. The clinic I went to now tells me that my D3 blood level is a normal level of 30.9 and to stop taking the 50,000 and begin 2,000 a day. I think this may be best for me. Everybody may not be suited to take such large doses all at once. Do doctors ever think of that? Please do some more reading on my site. There are several problems with your account. First of all, bone pain is a natural consequence to taking vitamin d if you have been deficient for many years. Getting bone pain has nothing at all to do with a large dose all at once as you are postulating. While a smaller daily dose 'may' have been a better choice for you, it would have just been better had you not taken that prescription and you would have taken Vitamin D3 instead. You are getting confused and thinking that prescription vitamin d is vitamin d3 when it is not, it is vitamin d2. 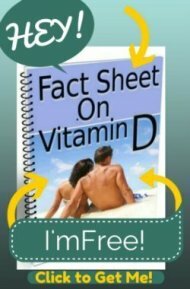 Please read my page on Prescription Vitamin D.
Next, your vitamin d3 level is not 30, your TOTAL vitamin d level is 30. Actually, since you were taking vitamin d2, you can ONLY raise your vitamin d2 level and your total level. Your total level is what is important, but D2 is not natural in your body and it would be better if docs just dumped the D2 supplements, then they wouldn't have to bother measuring it anyway. Next, your level is NOT normal. It may say that on the laboratory sheet, but the laboratory sheet is wrong. You are still deficient. Please see my page on Normal Vitamin D Levels. Next, 2000 IU's per day is a maintenance dose for a 50 pound child, not a dose for an adult. Please see my page on Vitamin D Requirements to see that you'll need almost double that to just MAINTAIN your current levels. I guarantee that if you continue taking your 2000 IU's per day and get tested again in 6 months or a year, that you will be lower and then you and your doctor are going to get all panicky and think that you are not absorbing the vitamin D and they'll send you to endocrinologists and gastroenterologists to find out what's wrong with you. What's wrong is that you are taking too low of a dose to maintain your levels. So, please read the pages on my site that I referred you to, which are many of the same pages that I referred the other person on the thread to. If you had read my pages, you may not have had to suffer with the side effects that you did. I started with a sharp shooting pain in my ankle sometimes when I was walking. I told my NP about almost flying down the stairs at work one day because of the pain. She ordered a Vit. D level and it came back showing a deficiancy. I was placed on 2000 IU of Vit D# daily and three calcim 500 pills daily. I was also referred to a Podiatrist and now am wearing special shoes along with orstatics and the pain has intensified. I was on Tramadol for pain prior to all of this as well as Alprazolem .5 for sleep prn. I went off those meds after reading an article that both of these meds can cause bone pain. Four months have passed since I stopped taking the above meds listed and I continue to have severe bone pain from my feet to my lower back, which I never had prior to taking Vit D3. I also had physical therapy for six weeks and still continue to have the pain. I have decided that maybe I will have to quit my job (which I love)so I don't have to live with the pain. Any suggestions so I can continue working. What do people use to control the pain? I am too young to retire! Your problem is that you are not even taking an amount that is even CLOSE to what you need to be taking to bring your levels up to normal. So, you are keeping your levels too low and never passing that stage that your levels become normal and the bone pain stops. You are just perpetuating your pain in slow motion. Please read my page on Vitamin D Therapy and follow the step by step instructions on how to bring your vitamin d levels up. Did your doctor even take another vitamin d level to see if her totally inadequate dose of 2000 IU's was bringing your levels up? Please insist on getting another vitamin d level NOW and then show your doctor what a worthless dose of vitamin d she gave you. I agreed with 9.5 calcium being high. Have your parathyroid (pth)levels checked at the same time as your calcium levels. Taking vitamin D in high doses if you have primary hyperparathyroidism can be dangerous. My doctor started me on Vit D2 prescription to r/o my elevated PTH. Rx was 50,000iu weekly for 3 months. After about 4-6 weeks of taking Vit d2 I developed severe cervical/bone pain. I do have a history of cervical DDD and stenosis which was controlled I believe until my doctor put me in this high dose Vit d2. I asked several doctors if this pain could be caused from taking this and all of them said no. I understand I should have been on Vit d3 with magnesium and K2, like in the Vitamin D Absorption Pack on this site, which the doctor never did even though I questioned my doctor about this. I truly believe this is what has caused me all of my neck pain on top of sternum pain and a flare up of my TMJ. I am angry and frustrated that the doctor did not recommend the correct vitamins and now I am suffering and hoping this will go away and has not ruined my neck for life. Don't always trust what your doctor says and go with your gut feels, wish I would have.